One of the potential threats to Australian shores is the onset of sea level rise, but to date the federal government have not specifically made policy in this area. They have however made general policy to reduce carbon emissions as part of the Paris conference initiative. Clearly the Australian government is heavily influenced by the world opinion. With the opposition taking a strong position on climate change issues this has had an effect on government policy. Opposition Federal ministers have indicated that they see sea level rise as a state and local government issue, but Dawson (2011) and Holland (2016) recommend that the Federal government should take a leadership role in this potentially devastating economic impact that climate change will have. In 2009 the New South Wales (NSW) State government had developed policy in this area and was influenced by the IPCC reports forecasting up to 900mm rise in sea levels by 2010. However, because the NSW reforms affected land owners in a negative way, the standard set in 2009 was removed by a new state government and any requirements on the standards where placed onto councils in 2012. Councils were then obligated to take full responsibility for making a flood plan. This action was influenced by public pressure from land owners. Many States Governments have little or no plans for sea level rise adaptations. One important measure outlined by Barnett, Waters, Pendergast, & Puleston, (2013) is that planned retreat should be considered. The National Climate Change Adaptation Research Facility would have influence on State government policy as a research paper by the facility identified issues of resistance to adaptation in the Eastern states of Australia. Since the NSW government was affected by public opinion in 2012 it now seems to have a successful policy outcome of adapting to climate change effects through the Integrated Regional Vulnerability Assessment (IRVA). Also three new planning policy documents have just finished a public consultation process. These initiative may have been encouraged by the Nature Conservation Council and the Australian Conservation Council which often have representative on government committees. A draft Coastal Management Bill will bring a new Coastal Management Act in NSW and amend the EPA Act 1979. The Explanation of Intended Effect for the proposed new Coastal Management State Environmental Planning Policy (SEPP) will control development and introduce four new zones to planning in NSW and finally a rewritten draft coastal management manual will give better support for council planning decision making. Local government have had little direction to plan for climate change induced sea level rise. In 2010-11, the public outcry over high insurance premium was deafening to the Central Coast councillors and as a result flood prone properties were not identified. This irresponsible policy of councils is slowly changing in Gosford City with a new initiative called sea level rise mapping. This policy was passed by council in March 2015. Recently, Wyong councillors were still being held hostage by unanimous interest groups to the constant frustration on peak environmental groups such as the Community Environment Network (CEN). Hopefully the new amalgamated Council on the Central Coast will take concise and appropriate action to address climate change related sea level rise by making appropriate planned retreat strategies in the near future using the new State Coastal Management Act. Dovers S., & Wild River, S., (2003), Managing Australia’s Environment, Sydney: The Federation Press. Hamilton Clive, Running from the Storm the development of climate change policy in Australia (2001) , University of NSW Press Ltd.
Howes. M., (2005), Politics and the Environment, Sydney: Allen & Unwin. Thomas. I., Environmental policy: Australian practice in the context of theory, Federal Press, Canberra, Australia. In 2015 the effects of climate change are starting to be felt by Australian communities. Although there are still some who either do not recognize that climate change processes are affecting our daily lives or believe climate change is a natural process, which is the phase of global warming as part of a cycle of global weather patterns from cooler climates to warner climates that have not been affected by human activities on the planet. These people tend to discount the effects of burning fossil fuels intensively over the last 100 years or so. They do not recognise that over time concentrations of certain gases in the atmosphere including carbon dioxide have and are affecting the climate. Presently many of the effects of this warming pattern are relatively mild but over time unless progress is made to curb carbon emissions these effects will impact the economics of Australia and every individual living within Australia. However climate change deniers and climate change skeptics suggest that if there is a process of global warming happening today, there is nothing we can do about it. Human activity over the last 150 years in digging up and burning fossil fuels has had little to no impact on global temperatures. Science tells us just the opposite. Scientific records tell us that temperatures have risen much faster than the trend over the last 100 years than any time in the last 1000 years. This warming is not just a natural cycle of warming, but an accelerated warming principally caused by the industrial revolution’s use of fossil fuels to drive the economic engine of world commerce. Scientists have produced data that shows the world has warmed on average one degree since the year 1900. Scientists have predicted that if the average world temperatures warm more than two degrees since that time there will be a cycle of events that will increase global temperatures even if the global population stopped using fossil fuels from that point onwards. There is a wide range of impacts associated with global warming that should be considered in Australia and planned for to help mitigate the effects on the Australian people, the way we live and on our economic status in the world’s economy. The particular climate change impact that we will be focusing on in this paper is climate change induced sea level and coastal flooding caused by extreme weather and tidal events. Australia is an island and although large will have the effects of sea level rise, severe weather events and tidal inundation around its entire coastline. Much of the population of Australia resides in coastal regions and much of this population is and will increasingly be subject to the effects of wild weather as global temperatures increase. A smaller proportion of the population live in lower lying areas and the land they occupy will be subject to a variety of effects which include rising sea levels, tidal inundation and higher floods caused by more precipitation caused by more extreme weather events. Some politicians have suggested that the mitigation processes related to sea level rise should be managed at the State and Local government level. This option has merit in that the bulk of the work in managing these effects should be through State and local government planning instruments. But State and local government do not have the capacity to coordinate strategies to mitigate the effects of the following kind. These are impacts on the social and economic fabric of the nation. This will require a nationwide a response to the effects of climate change induced sea level rise. Only the Federal government will have the overall capacity to co-ordinate an Australian wide approach to these effects on the economy, the environment and the social cohesion of all Australians. One of the mechanisms that could be used to ensure a coordinated approach would be through enabling federal legislation that would be agreed upon through the COAG process. This legislation would then be dovetailed into all State legislation and then through State government consultation with agencies and local government incorporated into local government planning schemes. This would ensure a best practice approach which would be fairly and uniformly applied across the country. This process of ensuring a coordinated approach to mitigate the effects of climate change in this one area of sea level rise and associated effects goes to the issue of national security. The National security of our economic systems within Australia. Security of markets is about protecting markets within the economy. The protection of coastal property markets is very important in a growing and prosperous country like Australia. The property market is the bedrock of the economy and a solid source of asset security for the financial sector in Australia. Potentially affected land by sea level rise up to a level of 1.1 meters above current sea levels hold in the vicinity of $300 billion worth of asset value according to an ABC report in 2013. This asset value does not take into consideration any additional rises due to tidal inundation in storm events. If people were to overnight loose confidents in the value of these assets, banks would want to foreclose on loans as many properties are included in an asset list securing the loan. A collapse in property values would affect the financial sector and a scarcity of available funds for business using coastal properties as collateral would mean that extreme pressure would be put on business and on jobs court in this situation. Risks associated with buying such properties will mean that insurance providers will not insure coastal properties. At present some of these properties are the most expensive in the total real-estate market and a collapse will deviate the property market. What are the processes by which such a collapse may occur? Under the current coastal property boom prognosis it is likely that the market will continue to increase without abating until a loss of confidence in the market occurs. What would be the likely cause of a loss of confidence in the coastal property market without any intervention from the federal or state government? It is likely that the upon a catastrophic storm event that produces very high tides and extensive flooding coastal property owners will start to reassess the viability of staying on the coast. In addition the local governments will be shocked into the reality that they are massively exposed to risk of litigation because they had not responsibly informed the property owners of the heightened risk of inundation due to changing climatic conditions. Then when coastal property owners attempt to reinsure their properties they find that the premiums are astronomically high or even worst that they cannot insure their property at all due to the risk on the property after a reassessment of risks of storm event damage by the insurance companies. After a very severe storm or a chain of storms producing flooding and the likelihood of a hike in insurance premiums, property owners will be clambering to move away from the coast. Supply for coast properties will rise and as a result coastal property prices will plummet. This drop in asset value will impact the ability for many businesses to operate in a constrained credit environment. To explain this we must look at the mechanism that allows businesses to borrow. Businesses borrow from financial institutions like banks because they have a capacity to pay back the loan. Often security on a loan is a property and is put up by the borrower as collateral on the loan in case the ability to pay the loan by the borrower evaporates. If the collateral for the loan is a devalued coastal property then the lender may call in the loan on the basis of the reduced value of the asset to lower the exposure to the loan by the lender or financial institution. This will adversely affect the business. Even if the loan is not called in, the business may need to gain more finance in a growing business. If the coastal property asset used as collateral is a devalued coastal property the business may not be able to gain further finance from the lender. This process of a financial freeze on a section of the business community will affect jobs and growth in Australia’s economic engine at large. A flow on effect of this is a down turn in tax receipts income and business taxes which affects government revenues. Local and State governments will be under pressure to raise rates and funds. With a drop in coastal property prices Local government will have little choice but to increase rates putting further pressure on rate payers and business owners. With less money in the economy discretionary spending will be down and marginal businesses will go out of business further reducing Australia’s economy. Local government and State governments will be under extreme pressure to mitigate the impacts of tidal inundation and prolonged flooding. Massive amounts of money will be needed for projects along the coastal regions of the Australian coast. State and local governments will not be able to supply this money even if their revenues had not dropped due to the economic downturn. Politically speaking there will be a questioning of the fairness to the whole community on spending such a large amount of money on owners of high value coastal properties and propping them up for a few years to keep these properties above the flood waters, just so these owners will not loose asset value of their property in the near term. This is an up dated paper first written in 2010 but still relevant in 2015 more than ever with continued evidence of the effects of chimate change in a range of environments. The paper can be viewed through the link at the bottom of this web page. Since this paper was written in 2010 there has been a series of developments related to both NSW State government and some Central Coast local government councils and their policies. After the Labor State government announced in 2009 the recognition of sea level rise being a scientific fact through the Draft Flood Risk Management Guide published by the Department of Environment and Climate Change Water (DECCW) several predictable things happened. Firstly we need to understand that the DECCW based finding of 900mm sea level rise by the year 2100 on the shores of NSW is from data produced by the 2007 fourth session report from the Intergovernmental Panel on Climate Change. This report indicated that sea level rise was predicted under present emission levels and a projected increase was expected to be between 1 meter and 3.7 meters by the year 2100. From the 5th session report of the IPCC in 2013 further information has been gathered and more finding published on sea level rise predictions. However, after the initial IPCC report and the NSW State government considering the revision of flood level planning and standards in the State, local councils who have been starting to implement the new planning standards along the coastal regions, experienced a backlash from land owners. As predicted in the paper in 2010, insurance premiums started to rise on coastal properties. Councils through a due diligence processes began to realize that if a house were to be approved for development and was likely to have a life span of 60 to 100 years, the minimum floor level should reflect the projected sea level rise at or up to the year 2100. This has meant that the full height of the increase of sea level assessed to be 900mm by the year 2100 was now the new standard for the calculation of the minimum floor level. This has also meant that flood planning had to reflect the maximum level of expected flood over the next 90 years as if it were the standard for today. This in turn alerted the insurance companies and skewed their risk assessment process, which had to reflect the new standard of 900mm. As a result insurance premiums went up to previously unheard of levels. Some property owners were experiencing insurance premiums of over $4000 a year. The political backlash was so great that coastal councils started to ignore due diligence and allow homes to be built at current floor levels without consideration for the State government’s Draft Risk Management Guide 2009. After a change of government and due to the political backlash, the State government also decided to backtrack from their mandatory standard floor level assessment as an interim measure for councils without an updated flood management plan reflecting the new State government predictions of 900mm by the year 2100. Instead the State government, through its department has change the guidelines to reflect a non specific approach to sea level rise but still maintaining the fact that sea levels will rise to the 900mm previously suggested, but now has put the onus of providing flood level risk information to land owners onto the local councils, opening the way for them to ignore the 2007 IPCC report. The fifth session 2013 IPCC report when commenting on climate change induced sea level rise was very careful to report a range of scenarios, qualifying and re-qualifying projections. If we were to read between the lines of qualification, for the east coast of Australia, a lower level prediction for average sea level rise would be between 300mm and 480mm from present day 2013 levels by the year 2100. However, one very important and significant component of the sea level projection is missing and that is storm surge predictions that must be atop the sea level rise due to global sea warming causing seawater expansion and ice cap melting. This brings a conservative sea level rise risk in a storm event to up to 800 mm or more by the year 2100 depending on the intensity of the off shore weather event present. Since with increasing evidence of more intense storm events now considered to be caused by global warning, and the prediction that increased global warming will precipitate more such events, higher levels of sea level surge is likely to be more prevalent. Faced with this evidence and the new provisions of the guidelines placing onus on council to assess risk, Gosford Council in early 2014 has finally decided to acknowledge the risk of litigation it has been exposed to by previously deleting flood references on the 149 certificates in 2012. After the recommendation by the State government, the council has again decided to implement a notice on each likely affected property to recognize increased risks of sea level rise and tidal inundation along with its flooding notifications. These notices were attached to each property through the provisions of section 149 of the Environmental Planning and Assessment Act 1979. This should now put pressure in other coastal councils to do likewise. However, under this provision of open information about property characteristics, it again presents a likelihood that insurance companies will reconsider the provisional notice an indicator for increased risk of flooding of the subject property and raise premiums in line with the perceived risk associated with sea level rise. In addition, in light of the new IPCC 5th report, these actions of both the NSW State government and local councils, highlights the lack of due diligence in the policy settings of the State government and perhaps the Federal government in ignoring probable reactions of the insurance companies. Governments need to accept the real probability of climate change induced sea level rise and strategically plan appropriate legislation to ensure a smooth path to higher sea levels in Australia. This paper gives a strategy for the State governments throughout Australia and coastal local governments to deal with insurance risks and progressive sea level rise over the next 90 years and beyond. This paper offers a way to consider forward planning in a context of the risks associated with climate change induced sea level rise. The Strategy advocates a local councils partnership with both State and the Federal Government to provide ways to provide insurance cover and infrastructure to reduce risks to coastal properties. This above statement should be read as a conservative figure for sea level rise and depending on how the future circumstances change levels could be considerably higher. See Article Central Coast Express Advocate, Friday March 28, 2014; “Sea rise rules upset”. Wallarah 2 Coal Project Rev 2 March 2014Planning for population growth is one of the challenges Australia has to face to ensure a good socio-economic future. This means that mismanagement and errors due to bad planning will affect our prosperity both individually and as a nation. Currently Australia is going through an increase in applications for mining operations. Some of the recent policy of State governments has been to embrace mining and exports to improve royalty revenues. In the face of climate change, Australian states are continuing to give approvals for mining operations to take advantage of carbon-based resources. This paper will investigate how a population growth area and a coal mining application are in conflict on the Central Coast of New South Wales (NSW). It identifies a range of planning principals for urban growth areas and superimposes a real life proposal for a mining operation within the locality of the growth area on the Central Coast of New South Wales. The paper looks at planning processes, the potential impacts related to the mine’s coal loader and indicates how the risk of these impacts can affect socio-economic factors during construction, operation and after the mining operation has ceased. The paper attempts to describe through some planning theory how the incompatibilities of urban development and a mining operation plays out. It shows by using as its argument a real life mining proposal within close proximity to proposed urban development in the form of a new green fields city planned for the Central Coast, a plan that has been documented since the publication of the 1975 Central Coast strategic plan. Within this paper is the case study based on the application for a long wall mining operation by Kores Australia (a company owned by Korean and Japanese investors). It investigates impacts related to a proposed coal loader planned to be located near the intersection of the M1 motorway and the Link Road to Doyalson. The case study gives some analysis to the proposed mine head’s proximity to other existing and proposed urban developments, and natural environments in the North Wyong area. The paper suggests that the externalities associated with the coal loader and transport of the coal to the coal loader at the Port of Newcastle create risks. If these risks are realised through the construction and operation of the mine head works it could create socio-economic repercussions for the local council, the state government and individuals. The paper attempts to be objective showing an understanding of the economics of mining operations and need to accommodate population growth, but in the final analysis, risks and evidence seems to be weighted towards an incompatibility between mining and urban developments in the same locality. For some time myself and colleges in the planning discipline have felt that a more strategic approach to planning would be a better course. We have watched the integrated approach produce a variety of unintended developments over the years. Following are some links to some of the work we have done with this philosophy of strategic planning in mind. Effectively manage growth and change. Perhaps a cynical view, but with one chance to get the strategic plan in place, often real public participation is limited to a few interested persons until the final reality of a project going ahead. A typical human trait is to let others do the work until it affects themselves. So as a result big business, who are able to pay consultants to be engaged in this strategic phase are likely to sway the public participation component away from natural environmental considerations in favor of economic advantages. Very few of the public have both the expertise and the time to be intimately involved in the strategic phase for planning. Let us remember the strategic approach made some 10 or so years ago by the Department of Planning in NSW and the public participation on the Central Coast of the “Shaping the Central Coast “ strategic planning project. Two observations are worth mentioning. No follow-up or resultant plan was produced connected to the project. Possibly some of this data collected in around the year 2000 during the project was used in the 2006 Central Coast Strategic plan, however this plan, having its own public participation phase did not gain a lot of public participation in the broader community either. I have some concerns and issues with the language of the objectives of the new plan. The objectives are as follow as from the green paper. These form the objectives of the new Act. The achievement of sustainable development will remain the main objective of the Act. Language like “the removal of red tape”, both lack professionalism and is an emotive term. It suggests that the current system of checks and proper assessment has no value except to bind up the process. These checks are in a system of integrated development, where objectives are codified. As stated in the green paper these codes may not seem to be relevant in the assessment process, but one should remember that they were put in place to achieve an objective often not in the interests of a developer. These checks, while in my opinion often inadequate to preserve the integrity of natural systems, are an attempt to consider non-economic relationships in the landscape. Another concerning phrase is “balance environmental protection with economic growth”. The word balance can be interpreted in at least two different ways that can result in inappropriate developments occurring. Balanced with the idea of equality. This would mean that an equal amount of loss of the environment must be the required balance for an equal amount of provision for economic growth. As equality is difficult to measure between these notional ideas, it is most likely that developer sponsored consultants will argue for a significant loss of unquantifiable environmental values as a trade-off for economic growth arguments. Balanced in the sense of reasonability. The argument would be on the part of the development proponents consultant, that it is reasonable to destroy a specified amount of environmental values to achieve a ‘reasonable amount of economic growth. This term ‘balanced’ in this context is a word that becomes very subjective. In other words, its application depends on the views of the user. In this case the proponents consultant and the proponent of a development that has clear economic values attached to it. Having been a consultant for a range of developers I am aware of such arguments. As a result, developments will be far from what others might consider “balanced”. Flexibility seems a progressive term, but in reality could dilute the intentions of a planning instrument. Under the current scheme State Environment Planning policy Number one (S.E.P.P. 1) provided up to a 10% variation to the planning Codes and instruments. This variation was sort by proponents and assessed by local council planners. However, all applications with such a provision under the current system went through a public exhibition stage. Flexibility in the context of the objectives is more nebulas than just applying it to variations of standards or of a strategic plan, it seems to be weighted towards providing unplanned for economic values to a development to assist developers to get bigger profits. I hope that I am too cynical in saying this. If this were the case and provision was built into the planning legislation to maximize profits of a development, then properly considered and public participation endorsed strategic plans and their defining planning instruments will be heavily eroded through an unfettered flexibility approach. The new planning system must have ecologically sustainable development (ESD) as its overarching objective. A genuine commitment to ESD requires legislative mechanisms that mandate consideration of environmental matters and set minimum environmental standards. The new planning act must enshrine ESD including the use of the precautionary principle and intergenerational equity. Proposed planning instrument regime: NSW Planning Policies, Regional Growth Plans, Sub-regional Plans, Local Land Use Plans must ensure that existing environment protections are maintained in the new planning system (including those set out in existing State Environmental Planning Policies). Natural Resource Management (NRM) targets should be included in strategic and sub-regional plans. The new Planning system must prescribe mechanisms for managing climate change impacts and mitigation. Climate change adaption and mitigation must be considered during strategic planning processes. 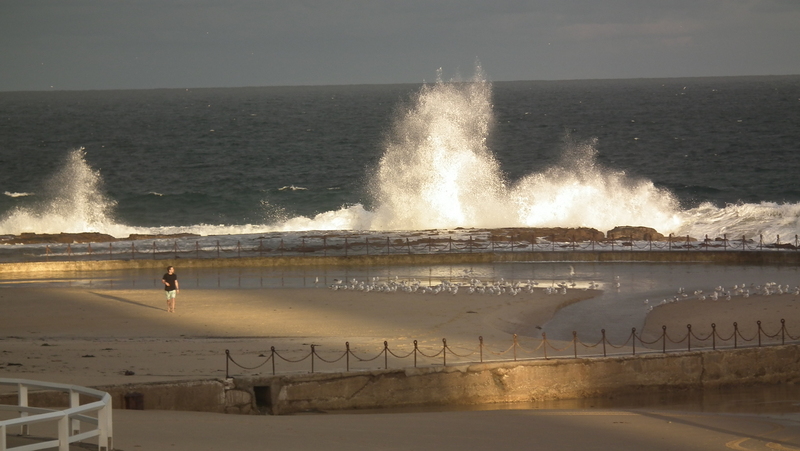 See link: Planning for Climate Change in the coastal regions of NSW . Ensure that merit appeal rights are available for all state significant development and infrastructure. Under the strategic planning instrument making phase, requirements for the carrying out of environmental studies, consideration of environmental criteria, and processes for effective community engagement must be included. That regular 5 year reviews be undertaken for the plan making instruments both at the state and local/regional government levels to enable continued public participation on the evolving directions of the strategic plan over time. Existing methods of public participation (for example notification procedures and exhibition periods) should be retained in the new planning system for individual proposals under the planning instruments. This is to ensure that the variety of potential controls that apply to the development within an instrument for a particular location is appropriate and acceptable to the community. And that any conditions set by the planning authority is acceptable to the community. The Government’s proposal to require consideration of cumulative impacts during the strategic planning phase is a step in the right direction. The new planning system needs to provide a clear process for this to occur. Flexibility for development applications ‐ The proposal to allow developers to make applications that do not comply with development controls will tend to undermine strategic planning efforts, goal and intentions. In these circumstances, a full and comprehensive public consultation process should be engaged in. In the case of major land use change proposals, proponents should be required to wait until the 5 year review of the planning instrument to get approval. In some circumstances it may be appropriate to conduct a mini review at a 2 and a half year interval. However all public participation requirements must be met. As with plan making under the present scheme, merit appeals may have to be assessed by a regional planning panel or land and environment court. The only flexibility that should be allowable in this strategic new planning model should be the review process related to the planning instruments. Public priority infrastructure applications – These must be assessed at the times of the planning instrument reviews. Government agencies should be able to work on plans well in advance so that these infrastructure priorities can be considered in the same way as a zoning change under the planning instrument, unless it is a complying development. Merit Assessment ‐ The new planning system must mandate that environmental impacts must be considered during the development assessment phase of a development application. Recommendations 71, 72 and 73 of the Planning Review outline matters for consideration including Aboriginal heritage, air quality, biodiversity, climate change projections, human health and livability, soil, water and the water cycle, and the public interest. These are important considerations and should be enacted in a similar way to present legislation which in part relies on other acts such as the Threatened Species Act etc. Removal of concurrences ‐ There are insufficient reasons for departing from the recommendations of the Independent Panel for an improved concurrence process. It is not enough to require agency input at the strategic planning phase. Proper assessment of a development by concurrence agencies is required once all the impacts of a proposed development are known and to test its compliance with the planning instrument through a review process. This insures that all related agency interests and stakeholders are consulted through the processes of the development application. Accreditation of consultants ‐.The new planning system should strengthen penalties for proponents who deliberately provide false and misleading information in the course of seeking an approval or permit under the new planning system. This advice or information should be able to be challenged by credited professionals and be available to the public on request to the regional planning Authority. Corridor Planning – In this new planning proposal the government has proposed a strategic approach to planning a landscape or region. This means that a range of land use components will be considered and planned for in the plan. This should include natural areas connected by natural area corridors suitably wide to enable connectivity for biodiversity transfer and the provisions for habitat for a wide variety of naturally occurring organisms. This green paper must be applauded for including this component of the landscape. The attached link may be helpful in planning these natural spaces, as it is the intension of the new planning scheme to wind back the provisions of voluntary conservation agreements (VCAs). I agree with the statement below from chapter 23, headed “Planning Culture” in the green paper. As a development control planner in the 1990s, I found the job less that stimulating, churning out similar development approvals all day. Since becoming independent, I have found a freedom to contribute to planning in NSW by offering ideas and submissions on a much more strategic level. Hopefully, some of the papers available in the links above may contribute to this innovative approach hoped for in the ‘new planning scheme’. Overall the strategy has given hope for a bright and prosperous future for the NSW planning. It is encouraging to have planning move towards a more holistic approach. The green paper flags that even with the growth in population the natural environment is important to preserve. It proposes green corridor links and will revolutionize the current planning scheme making the strategic a larger part of planning policy than the integrated planning approaches of the past. We look forward to reading the White Paper with the above considerations included. The Risk Model, as described in the following paper, is an approach for local councils in NSW to plan for future climate change induced sea level rise in an equitable and proactive way. This standard has become an enormous problem to land owners in at risk locations along the coast of New South Wales. In recent times insurance policy premiums have skyrocketed. Land values have been affected and general political hysteria is evident. Many protests by land owners have been seen on the Central Coast of New South Wales in Australia but council seem unable to bring a solution to the problem. Councils have reacted to political pressure by removing notification on land records of land affected by the potential of flood due to climate change. This action leaves individual councils and maybe the councilors open to litigation in the future when a climate change flood event inevitably occurs. This action by the councils is brought about by a head in the sand belief that climate change has not been proven and no evidence locally can be seen. The New South Wales Government seems to be paralysed by the disquiet on the coast. Seemingly unable or unwilling to discuss the issues and look for solutions for the social and economic problems mounting in the coastal regions. The attached paper written in January 2010 addresses the issues and provides a series of solutions to the dilemmas created by this State of New South Wales policy. The paper discusses solutions to the misunderstood threats of the effects of climate change to low-lying properties in both the long-term and the short-term. The paper also predicts the now evident effects of the policy and worsening social effects of the reaction to the policy. This policy without an identified strategy has caused insurance premiums are going through the roof, and at the same time caused the market prices of properties to plummet. As these market reactions continue, we are to expect unimaginable social disruptions unless positive steps are taken urgently. This paper sets a benchmark for a constructive strategy to manage at risk land due to the effects of climate change in coastal regions.